The PSA Group remained France’s largest carmaker during the first quarter of 2018 while Renault was again the best-selling car brand just ahead of Peugeot. The Renault Clio and Peugeot 208 were the favorite car models of the French. During the first three months of 2018, the PSA Group captured a third of the French new car market followed by the Renault Group with a quarter. The Volkswagen Group was again the largest foreign carmaker in France. Renault remained the top-selling car brand in France although Peugeot nearly caught up. Volkswagen was the top-selling foreign car brand. 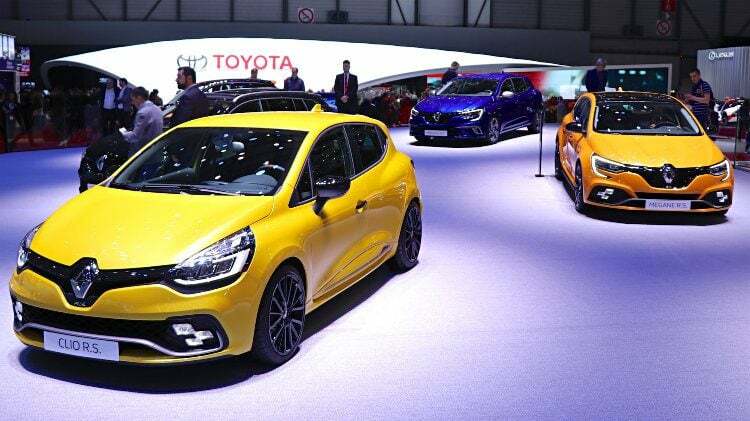 The favorite car models of the French were again the Renault Clio and Peugeot 208 while the Toyota Yaris replaced the VW Polo as the best-selling imported car model. New passenger vehicle registrations in France increased by 2.9% to 556,849 cars during the first three months of 2018. The total light vehicle market, including cars and light commercial vehicles, expanded by 3.5% to 673,617 vehicles. Diesel cars continued to loose market share in France – down to 40.6% from 47.4% during the first quarter of 2017. In France, 7,305 electric cars were registered during the first quarter of 2018 for a market share of 1.31%. The PSA Group comfortable remained the largest carmaker in France during the first three months of 2018 even without the boost from Opel sales that were included with PSA since August 2017. The PSA Group had a market share of nearly a third of the total French new car market. More surprising was the very strong performance by Peugeot that came close to market leading brand Renault. Two-thirds of the additional cars sold in France this year accrued to Peugeot that added 10,000 cars to last year’s total. The rest of the PSA Group underperformed: Citroen sales were flat, DS was again weaker and Opel sales were a tenth lower than during the same period in 2017 when Opel was still owned by GM. The Renault Group underperformed with Renault sales virtually unchanged while Dacia sales increased by a strong 12.4%. However, the Renault Group maintained its market share of a quarter of the French new car market. Sales of foreign brands in France at the start of 2018 increased slightly once Opel numbers are removed from the statistics. The BMW Group increased sales inline with the market but BMW brand sales were weaker. Mercedes Benz increased sales but Smart sales were down by a fifth. Sales of the FCA Group increased with the small Alfa Romeo and Jeep brand increasing sales sharply. Ford sales were slightly weaker while GM has withdrawn totally from the French market. Sales of the Hyundai Group were up by fifth with both Kia and Hyundai brands increasing sales sharply. In contrast, Nissan and Toyota both had weaker sales in France thus far in 2018. The VW Group remained by far the largest carmaker in France but sales were slightly weaker with sales of Volkswagen flat and Audi down by 16%. In contrast, the smaller brands Seat and Skoda performed well. Renault remained the largest car brand France despite flat sales during the first three months of 2018. Peugeot sales were up by 10% with France’s second largest car brand cutting the gap to Renault by 10,000 cars. Citroen was a distant third with flat sales. Volkswagen remained the top-selling foreign car brand in France but a strong performance by Dacia left Renault’s budget brand only 200 sales behind VW. Despite weaker sales, Ford moved into sixth place at the expense of Toyota. Fiat moved ahead of Opel and Nissan that were the two worst performers among the top ten best-selling car brands in France in 2018. BMW and Mercedes Benz moved up one rank position each as very weak sales saw Audi slip two places. Mercedes and Porsche were the only German brands to outperform the French car market during the first three months of 2018. The ten best-selling car models in France during the first quarter of 2018 were basically the same cars as a year ago but rank order changed a bit. The Renault Clio maintained its traditional position as France’s favorite car model followed by the Peugeot 208. Both models gained around 0.1% additional market share. The Peugeot 3008 II is up to third from seventh a year ago. The Citroen C3 III is the only new entry on the top-ten list – the outgoing C3 II was the sixth most-popular car last year. The Renault Captur maintained fifth place with stronger sales while the Peugeot 2008 slipped from third to sixth and the Peugeot 308 from fourth to seventh. The Dacia Sandero maintained eighth place with sales virtually unchanged. The Renault Twingo and Renault Mégane swapped positions. The Toyota Yaris (13th) replaced the VW Polo (14th) as the best-selling foreign car model in France during the first quarter of 2018.